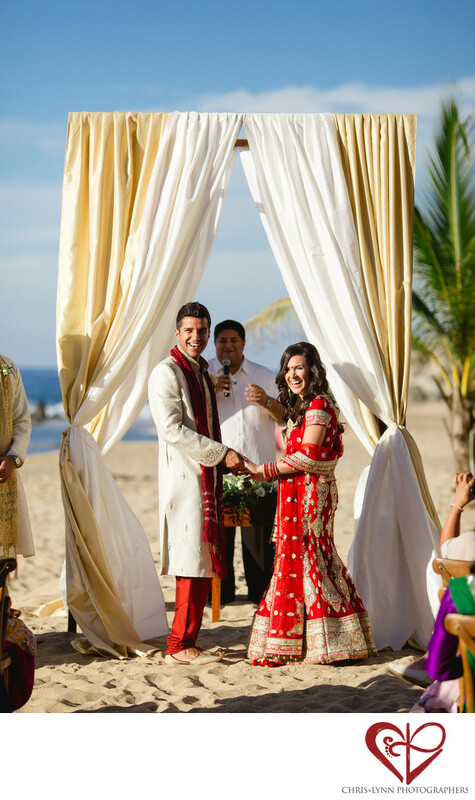 Teitiare Estates, Mexican Riviera | Ceremony moments and stunning ocean views at this Indian beach wedding at a private villa near Sayulita Mexico. Location: Teitiare Estate, Calle Norte 200, Camino a La Playa Escondida, 63732 Sayulita, Nayarit, Mexico. 1/4000; f/2.8; ISO 100; 135.0 mm.